Ever wished you could telepathically communicate your ideas to your teammate or client? A direct instant connection to the person’s brain so information transfer is less of a hassle. Unfortunately, humans are not built in that way. However, we are smart enough to create tools that make transfer of information and ideas a simple and easily digestible process. What would you prefer? Read a 1000 plus worded tutorial article with long instructions and process workflows or watch a video describing the whole tutorial. Obviously, the latter is a much more convenient option. But is it easy to create such video tutorials? Suppose, you want to easily communicate design instructions or a training video to a client which might be long. A simple answer is - screen capture tools for making and sharing videos over the Web. Jing is one such screen capture application. You can capture both images and video content using Jing. This makes it easy for whomever the content is shared with to follow the instructions or notes in an instant. 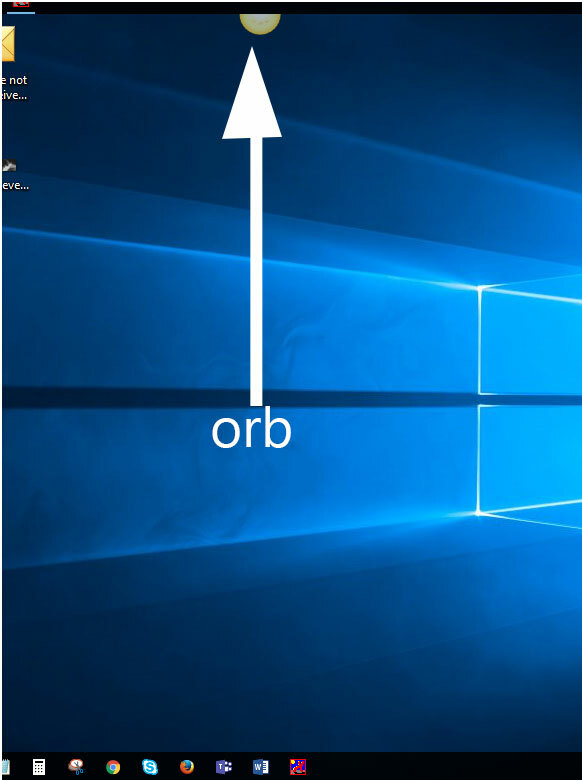 Find the Jing orb(pic) in your screen if you already have Jing installed. This Orb is called the sun. Hover over the sun and expand it, then select "Capture" (+ sign). The screen goes darker as you move the crosshairs around the screen. As you move the cursor you can see the screen becoming brighter, this highlights the portion of the screen you want to capture. 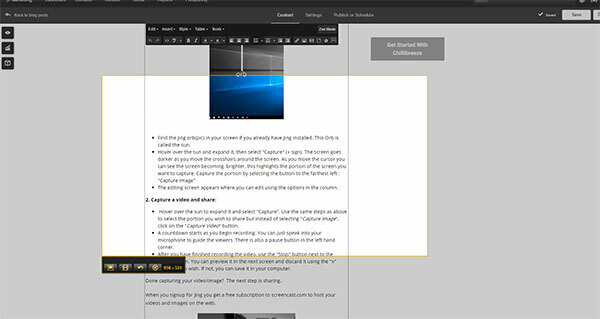 Capture the portion by selecting the button to the farthest left : "Capture Image"
The editing screen appears where you can edit using the options in the column. Hover over the sun to expand it and select "Capture". Use the same steps as above to select the portion you wish to share but instead of selecting "Capture image", click on the "Capture Video" button. A countdown starts as you begin recording. You can just speak into your microphone to guide the viewers. There is also a pause button in the left hand corner. After you have finished recording the video, use the "Stop" button next to the pause button. You can preview it in the next screen and discard it using the "x" button if you wish. If not, you can save it in your computer. Done capturing your video/image? The next step is sharing. When you signup for Jing you get a free subscription to screencast.com to host your videos and images on the web. Once uploaded, a link to your capture will be copied to the clipboard. Paste this link to your email messenger or post it to your Facebook or other social media platform where you want to share the video. Once the recipients click on this link, they will be able to view the image or video shared. Demonstrate features of a program. Show how to navigate a menu of any other field. Explain a concept or idea. Provide a personal introduction to a project. Give clear visual feedback directly using the screen capture feature. Jing has helped millions of web users to interact. For design experts and in our case Presentation design experts we get our job done quickly with Jing. 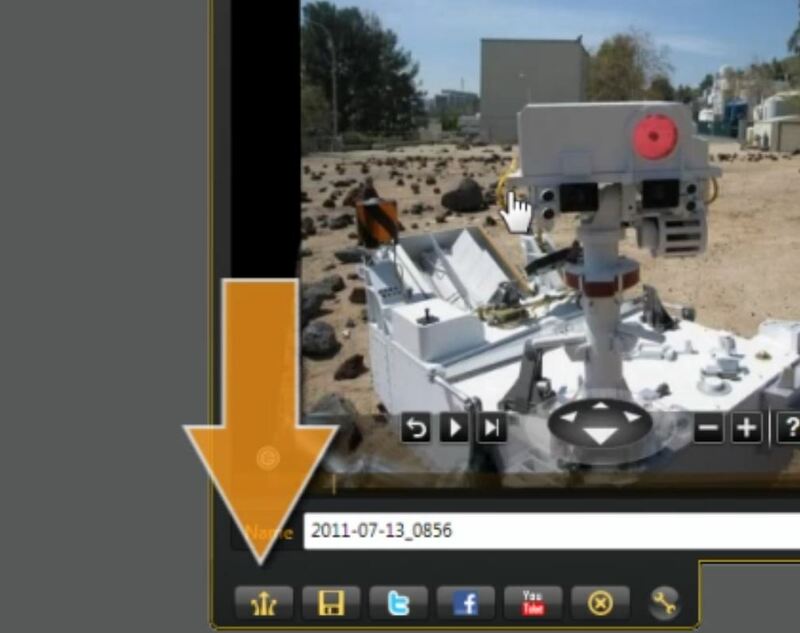 Our customers usually send a link to the video in screencast. On the link, the customer would go on to explain the requirements/instructions/desired changes in the design of each slide to the presentation expert assigned to their project. Our team then gets to work on the changes and design. Jing makes it so easy to follow instructions and review them when clarification is needed. How to create a successful Jing video? Before making a video, you need to be prepared with the instructions or message you wish to convey. Plan a script to use when narrating your video instructions. Try to include the text when you share your video. Use Clip-on microphones. They work the best by keeping a constant distance between your mouth and the receiver to get a steady voice output. Pick a place that has least background noise to make your recording. Speak in a clear and coherent pattern when recording. Don't be too loud but also don't be too soft that your voice is not decipherable. Replaying your video and checking for any errors in the tone of speech or sentence formation will be valuable for quality checking of the video. If you have the time, the best practice would be to ask a colleague to review your video before you send it. Ask him/her to tell you if the message and instructions in the video are clear and easy to comprehend. You can always rely on Jing to quickly communicate your ideas to people while chatting or emailing. This tool is a must have especially for people communicating remotely like tech support or any other type of communication that requires quick and reliable quality online videos or image sharing. Want to Turn Your Concepts to a Visual Message? Time to Accelerate!